When people consider purchasing a house, it is so easy to do so simply based on appearance. Beautiful curb appeal and a modern chef’s kitchen seem to open a lot of wallets. People fall in love with the paint colors, the open concept, the granite countertops, the stainless steel appliances, and they instantly picture themselves preparing a family dinner or having friends over for a cocktail party. At that exact moment it is important to stop and remember that appearances can be very deceiving. Before you start signing your life away you need to dig deeper to determine if this house is really the house for you. It doesn’t matter if the house you are looking at is 100 years old or brand new, you still need to inspect things closely. And even if you hire a home inspector to go through the house, and do a report for you, there are certain specific questions that you want to ask the inspector as well. If you ask the inspector these questions and you do not get decent answers, then do not hesitate to call professional trades to scope out the situation for you. Remember that this is probably one of the biggest purchases of your life and the last thing you need is to buy a property that is full of hidden, yet costly issues. If it is an older house that you are considering purchasing, ask the inspector if it looks like the house has been renovated, and if so, was the job done right. Another important point around recent renovations is whether or not the proper permits were issued for the work. While the home inspector will not be able to help you with that, the city office that issues permits will be able to help you. Before you purchase a new house consider your personal requirements when it comes to location. Do you prefer something close to downtown, or something out in the country? Does a quiet residential neighbourhood appeal to you? Also, how far are you willing to drive to work, if need be? Even if you think this is your “forever home” chances are very good that it is not. As much as we like to predict the future and think that once we find our dream home we will live there until we die, it probably won’t work out that way. Life changes very quickly, and quite often people only live in the same home for a max of 5 to 10 years. With that in mind it is important to consider what the resale value of your next house will be in 5 to 10 years. Will the value increase nicely because the neighbourhood is popular and well kept up? Is it in a popular location, or a scary, rundown location? Before you buy that next house you need to do some calculations to figure out if you can truly afford it and still have money left over for other things in your life. Figure out how much of a down payment you have. How much are the property taxes on that house? What will utilities and insurance cost you? If it is a townhouse that you are considering, what are the monthly condo fees? On some buildings the condo fees are as high as a mortgage payment. Once you have all of those numbers in front of you, you can figure out whether or not you can honestly afford to purchase this house that you have fallen in love with. Again, keep in mind that things in your life can change quickly, and even if you can afford to purchase this home today, could you still afford it if your income suddenly changed? Affordability is something that many people pay very little attention to, yet it should be one of your biggest concerns, and top priority. 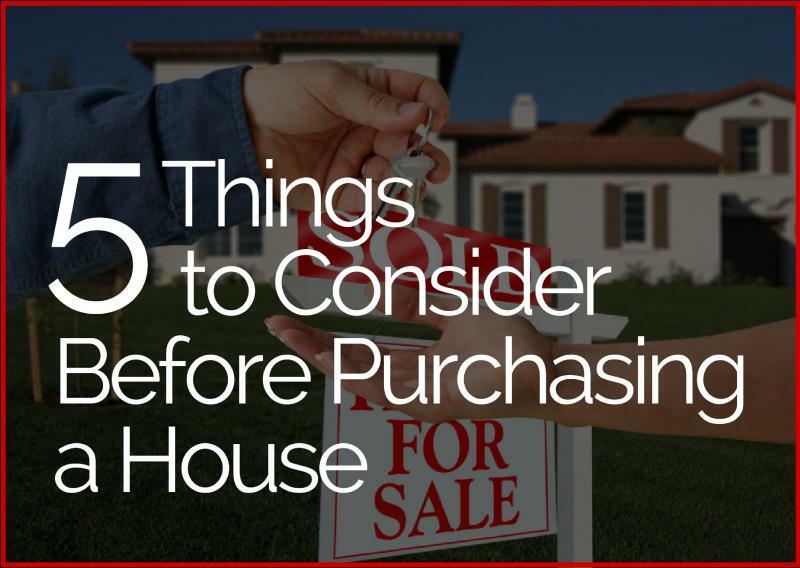 Even before you begin visiting houses that are up for sale you should create your wish list. A backyard? And how large of a backyard? How large of a house do you want? So many couples walk into large houses and get all excited by all of the space. But think about it – who is going to wash all those floors after you move in, and vacuum all of those bedrooms, and clean all of those showers? Before purchasing a house really take some time to consider what living there will be like. While a huge house and a large backyard may look extremely nice, a house that size comes with a lot of maintenance and additional expenses. Instead of being able to enjoy your weekends after a long week at work, you will be mowing the lawn and cleaning the house. Or you will be paying someone else to do it for you. Either way it will cost you.